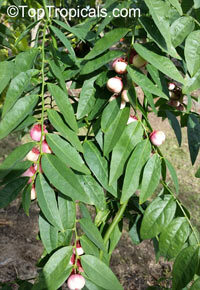 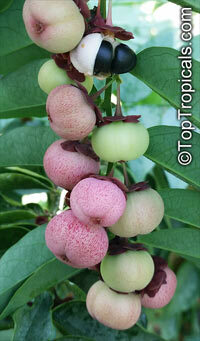 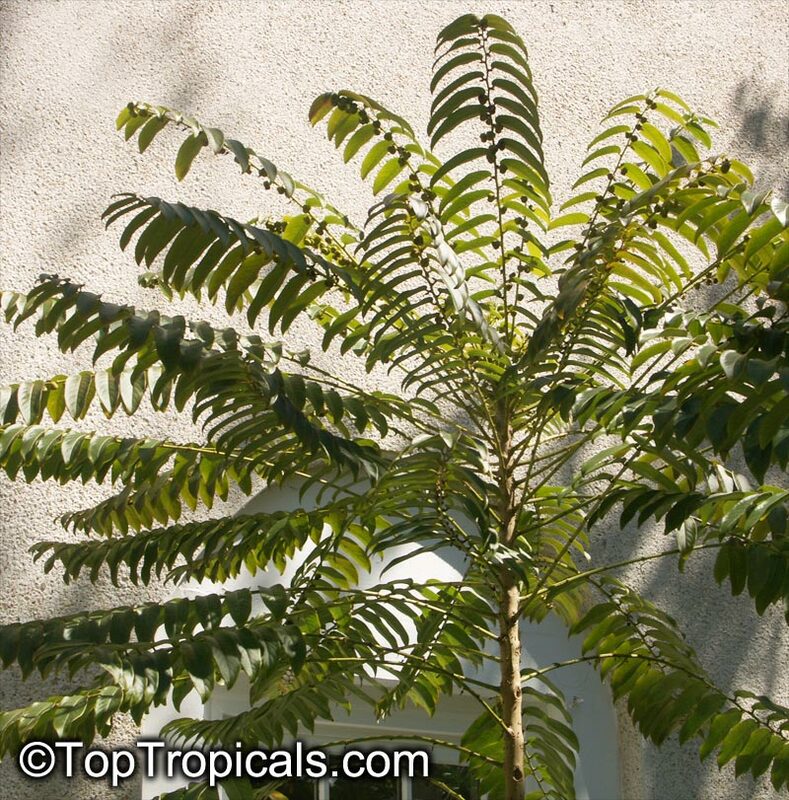 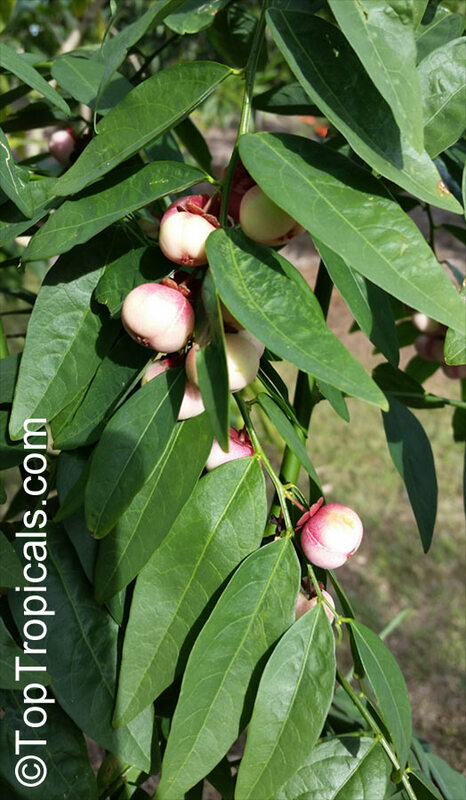 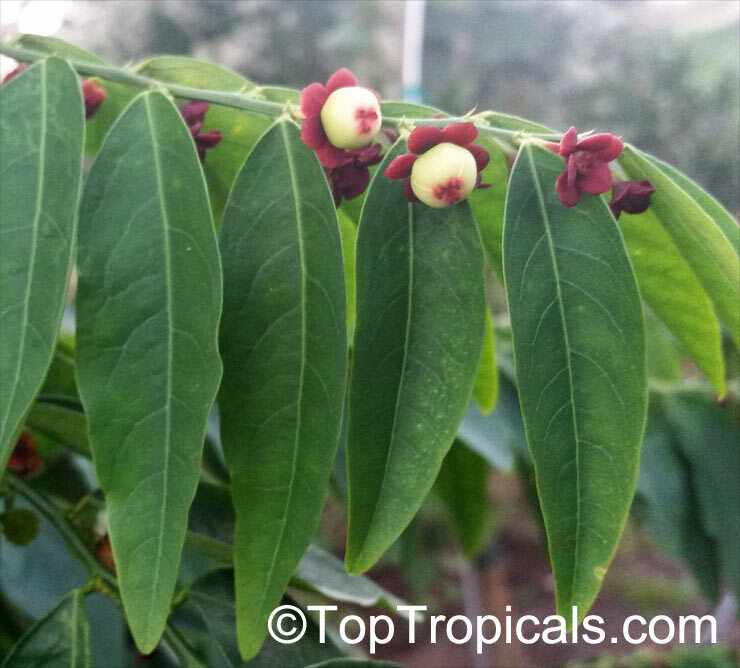 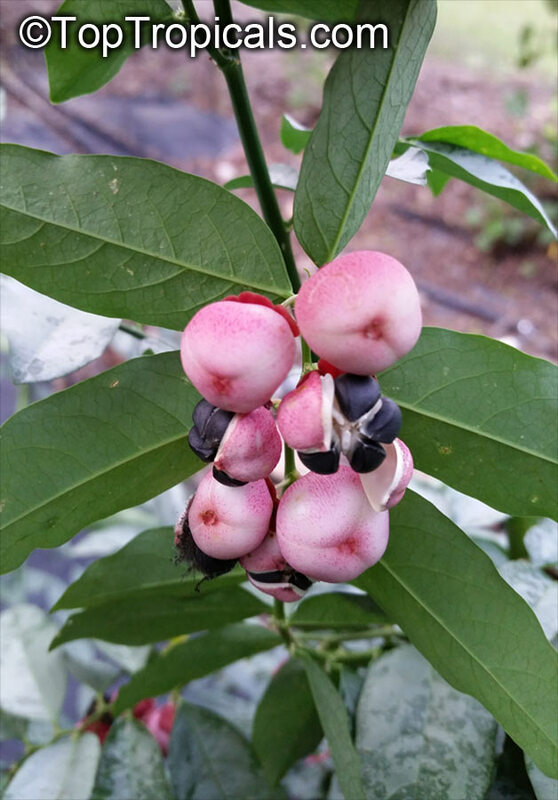 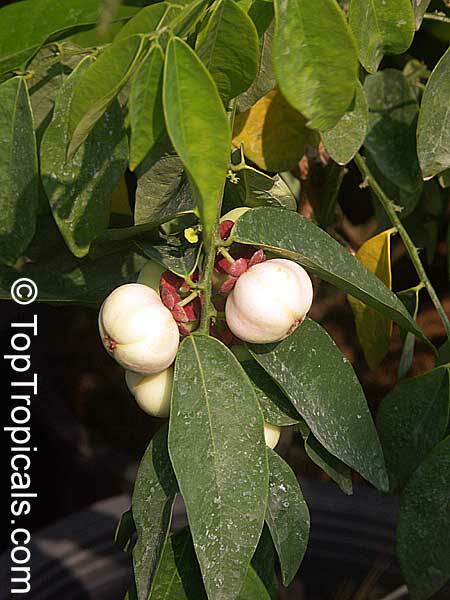 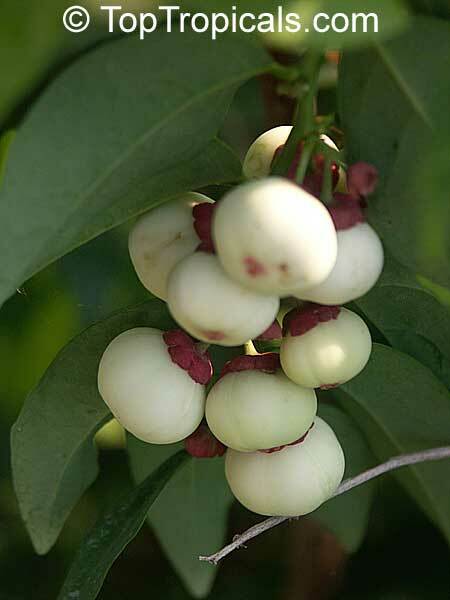 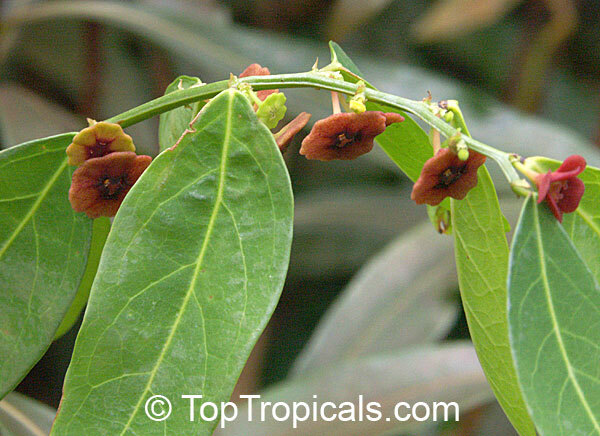 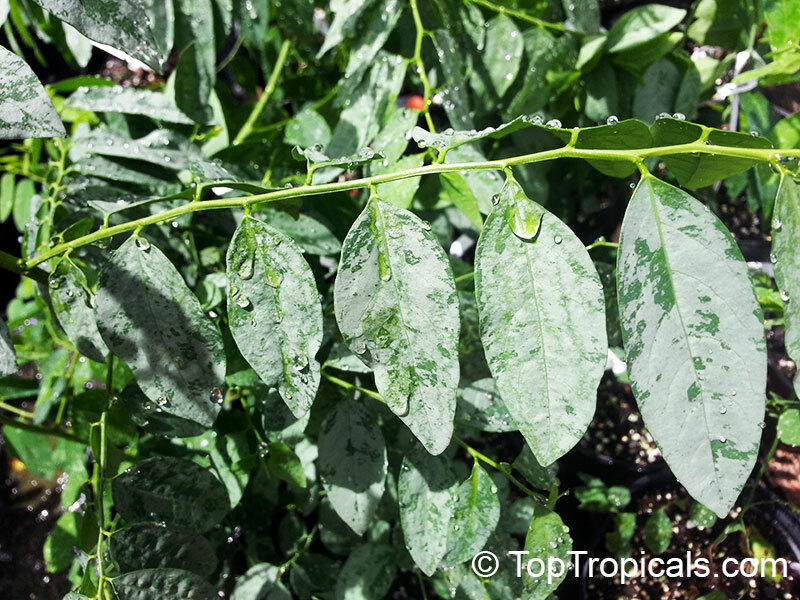 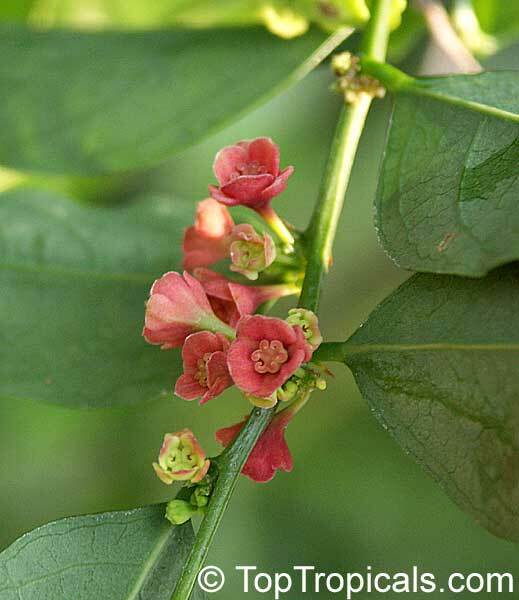 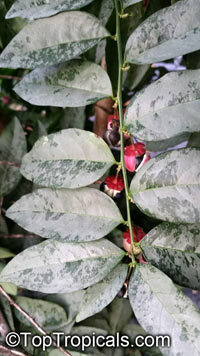 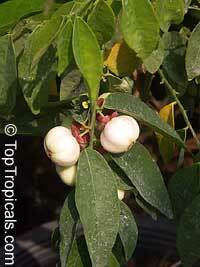 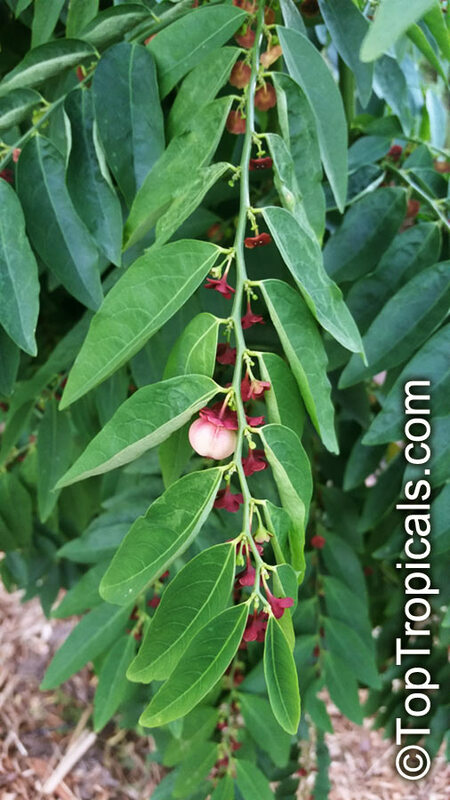 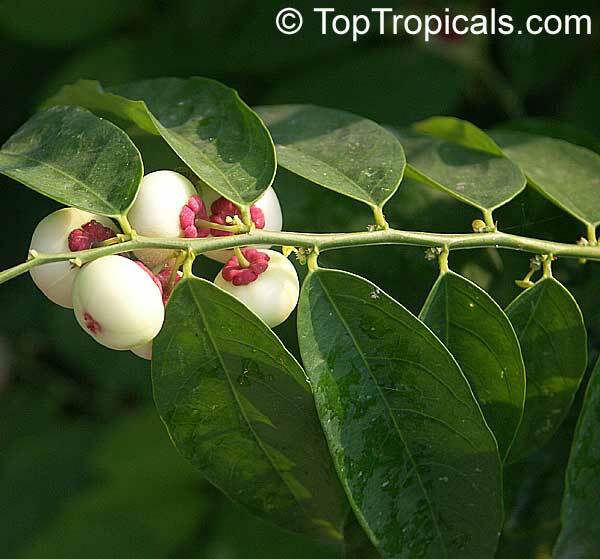 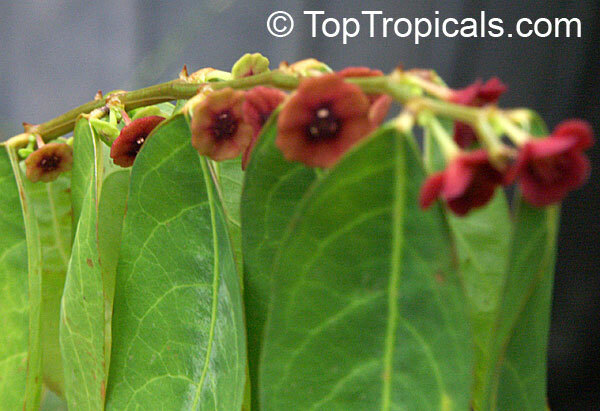 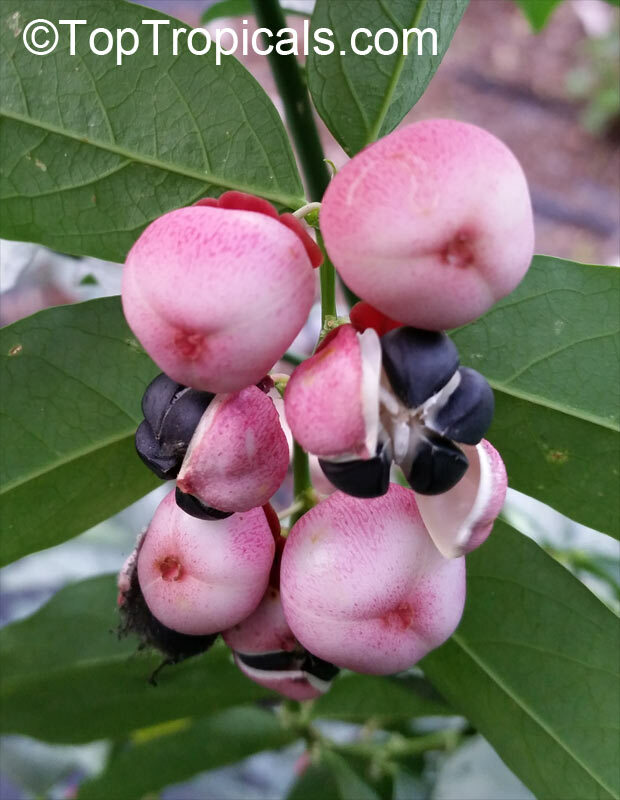 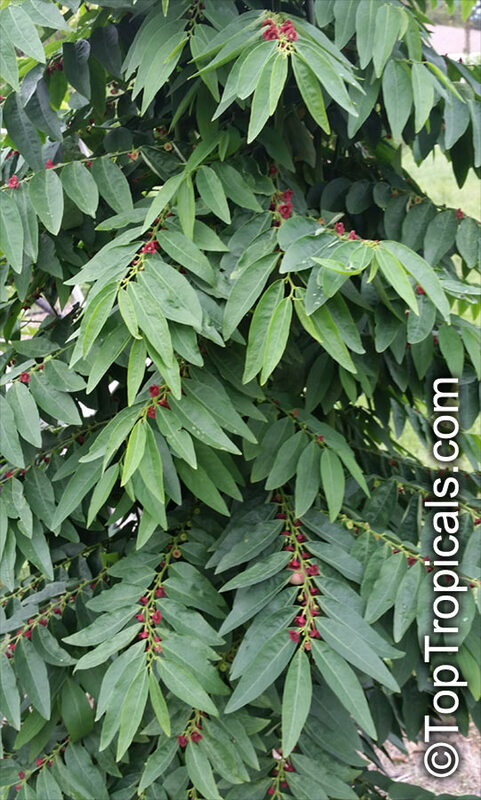 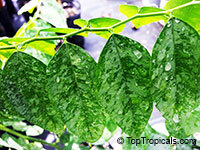 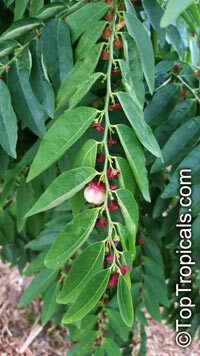 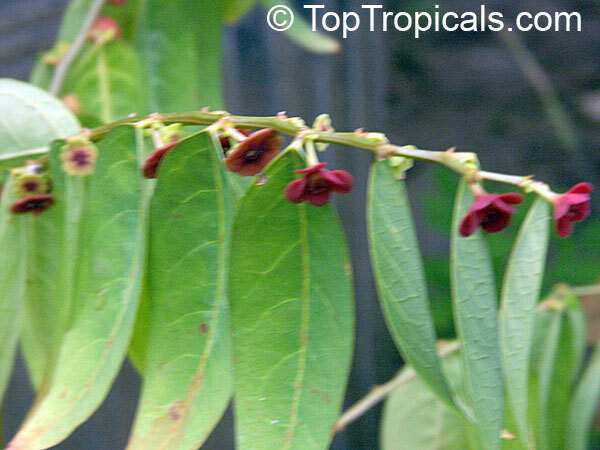 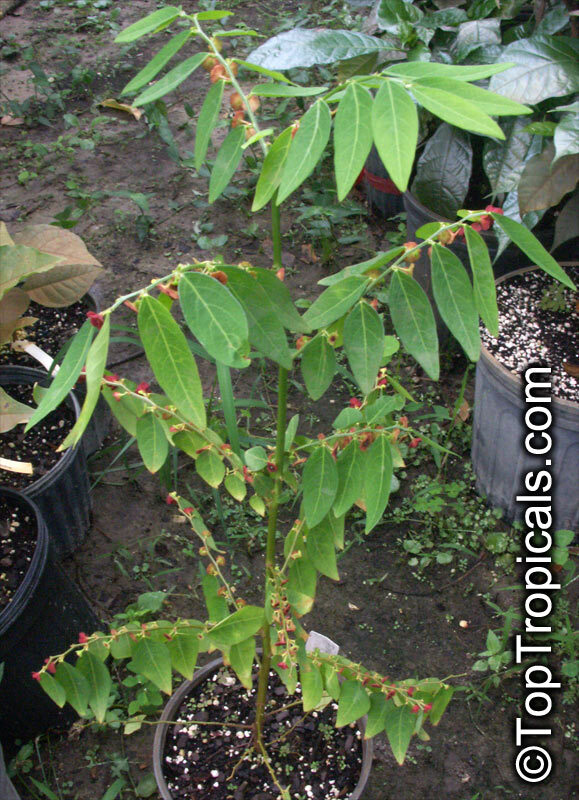 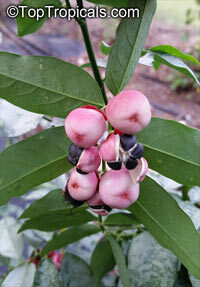 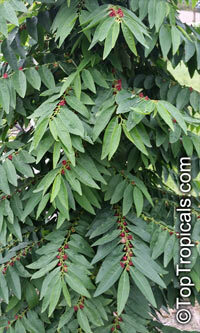 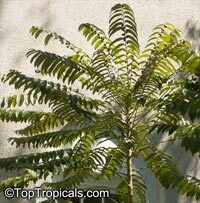 Sauropus androgynus is a shrub grown in some tropical regions as a leaf vegetable. 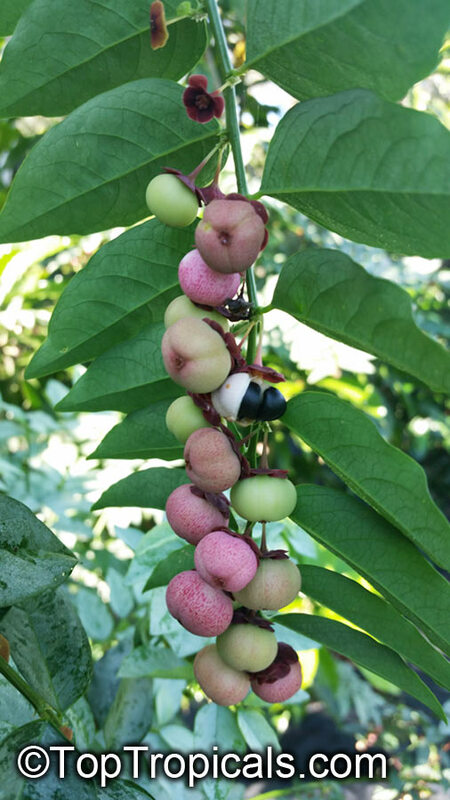 In Chinese it is called mani cai, in Malay it is called cekur manis or sayur manis, and in Vietnamese, it is called rau ngot. 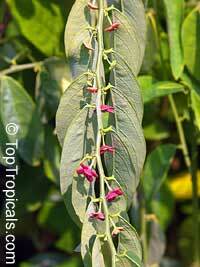 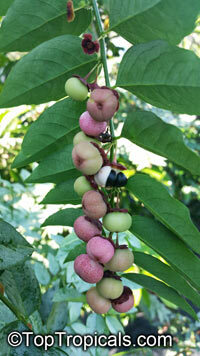 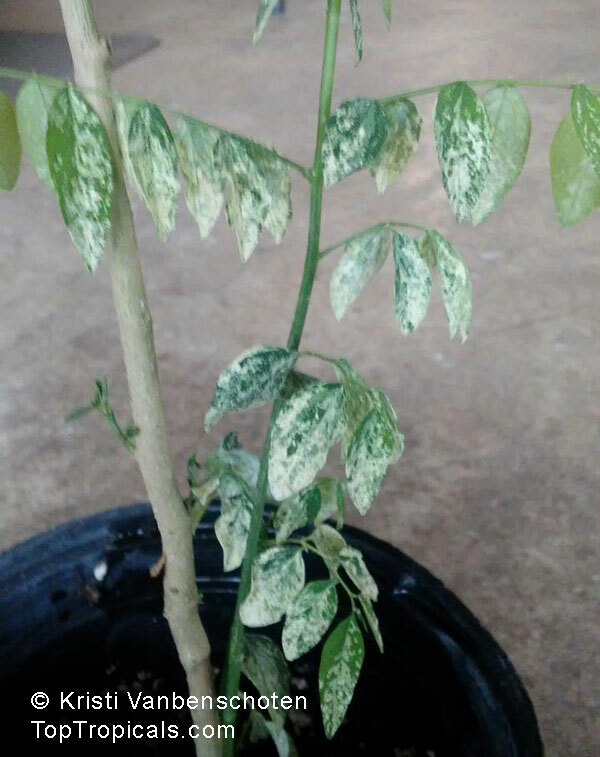 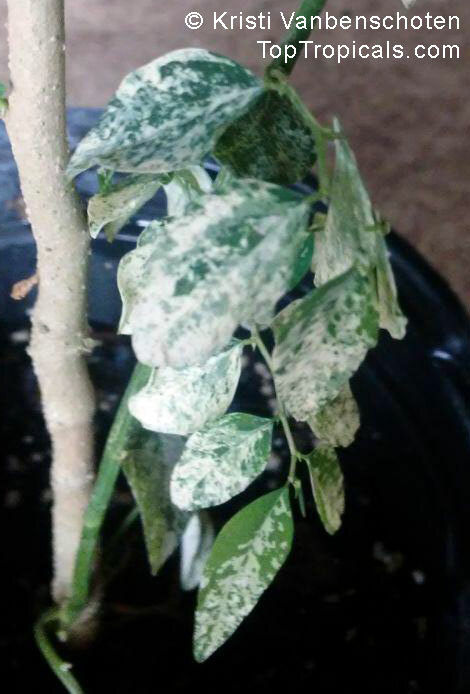 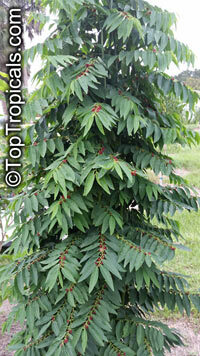 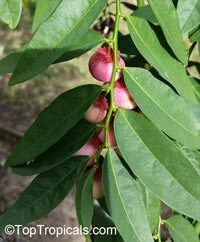 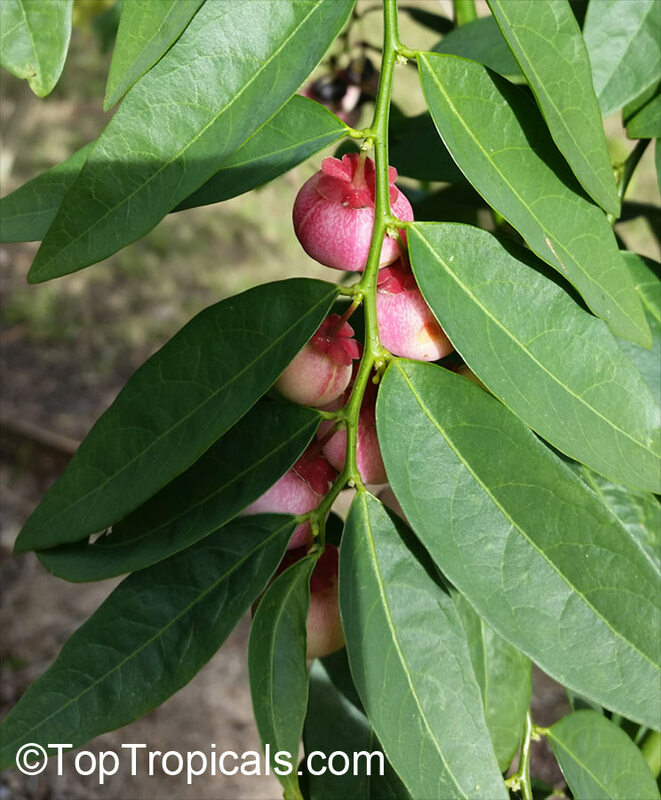 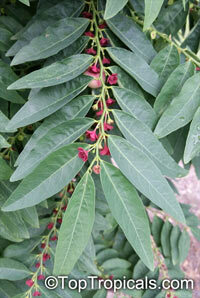 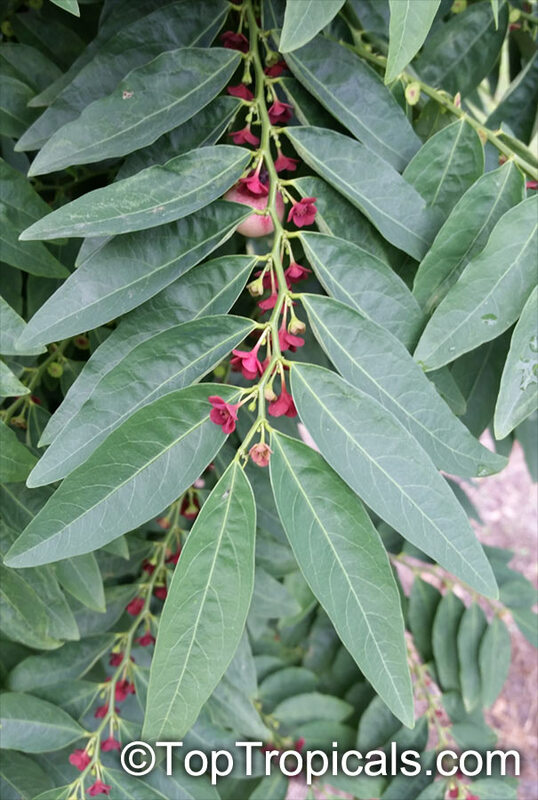 Its multiple upright stems can reach 6-7 ft high and bear dark green oval leaves 2-3" long. It is one of the most popular leaf vegetables in South Asia and Southeast Asia and is notable for high yields and palatability. 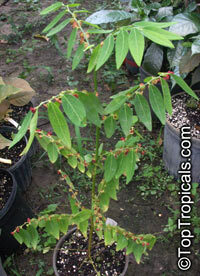 The shoot tips have been sold as tropical asparagus. 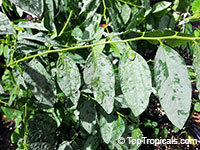 In Vietnam, people cook it with crab meat, minced pork or dried shrimp to make soup. In Malaysia, it is commonly stir-fried with egg and dried achovies. It is among only a few flora containing vitamin K.
It is a popular vegetable cultivated in India, Malaysia, Indonesia, southwest China. 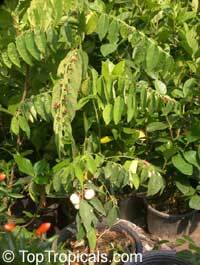 Delicious young shoots!